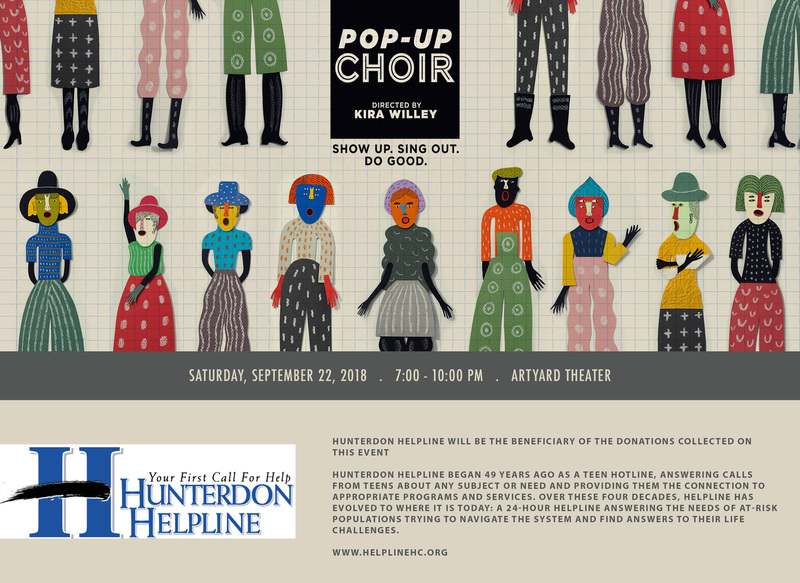 Please join us on Saturday, September 22nd for an evening with Pop-Up Choir, a unique experience of community, musical celebration, and helping others. Hunterdon Helpline will be the beneficiary of the donations collected on this event. Hunterdon Helpline began 49 years ago as a teen hotline, answering calls from teens about any subject or need and providing them the connection to appropriate programs and services. Over these four decades, Helpline has evolved to where it is today: a 24-hour helpline answering the needs of at-risk populations trying to navigate the system and find answers to their life challenges.